Marcus Fannius C.f. 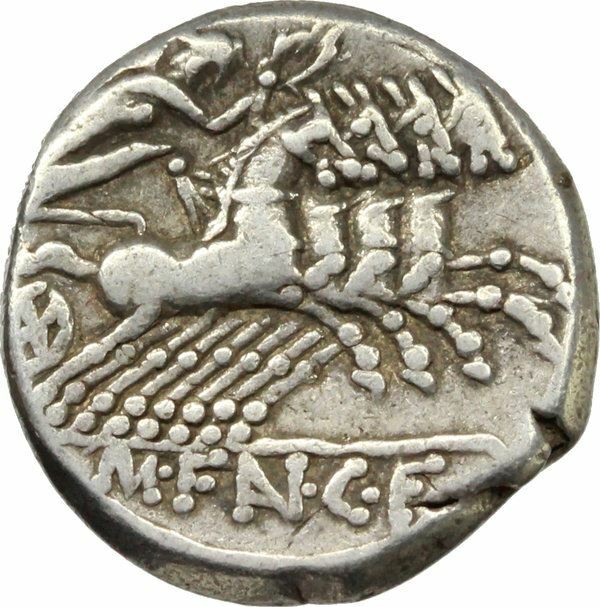 was one of the moneyers for the year 123 BC. According to Crawford, he is perhaps the son of C. Fannius, the Consul for 122 BC, or C. Fannius, Praetor in 118 BC. The only praenomina associated with the Fannii are Gaius, Marcus, and Lucius.